Australian Awards in Indonesia program is designed to build meaningful industry relationships between Australia and upcoming international leaders. The Department of Accounting from the Faculty of Business and Economics delivered a 3-week short course in Strengthening the Implementation and Application of Accrual Accounting to middle and senior managers from the Indonesian Ministry of Finance under the Australia Awards in Indonesia Program. Australia Awards are prestigious international scholarships and short courses funded by the Australian Government. 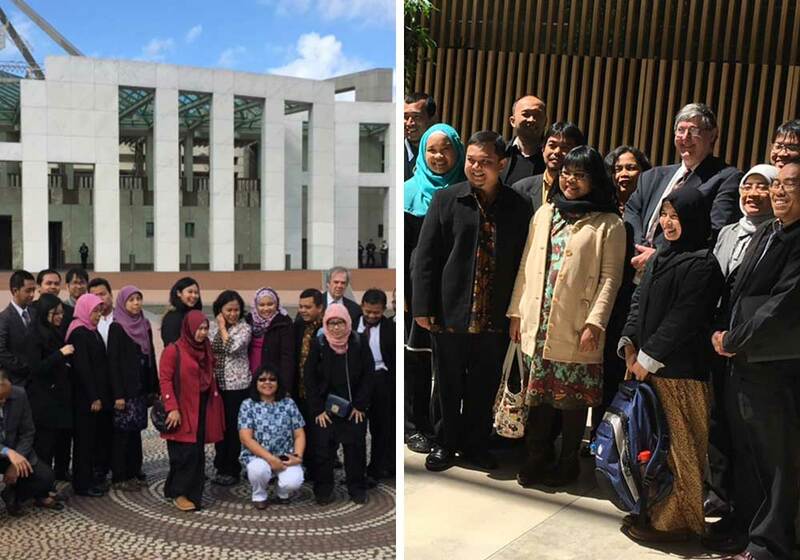 The Australia Awards short courses are designed to develop senior-level participants’ technical and leadership competencies and to provide linkages between Indonesians and Australians at the individual and organisational level. Providing emerging global leaders the opportunity to undertake study, research and professional development in Australia and abroad, Professor Kevin Stevenson together with Paul Kofman, Dean, Faculty of Business and Economics, The University of Melbourne welcomed the 2016 AAI scholarship participants to the University on Monday 3rd of October 2016. Participants were introduced to the Melbourne-based components of the program, including Australian and international context of accrual accounting, government frameworks and the role of standard setting. The Department of Accounting brought together faculty and key industry partners experienced in transitioning public sector reporting to accrual based international standards and in the development and use of those standards. Over 50 University of Melbourne academic and administrative staff and 11 presenters delivered the program. The Capstone session of program required the 30 course participants to complete analysis of Victorian Government’s 2015 financial statements -with the key objective being to consolidate their course learning and questions on financial reporting covered off during the course. (LHS) The visit to Parliament house (RHS) Peter Gibson at the Department of Finance and De-Regulation in Canberra met with participants of the program. We spoke to two of the participants - Ferry Taufik Saleh, Head Section of Support, the Implementation of Accounting Standards within Local Government, Ministry of Finance and Sri Purwati, Head Section of State Owned Assets IIIC, Ministry of Finance. 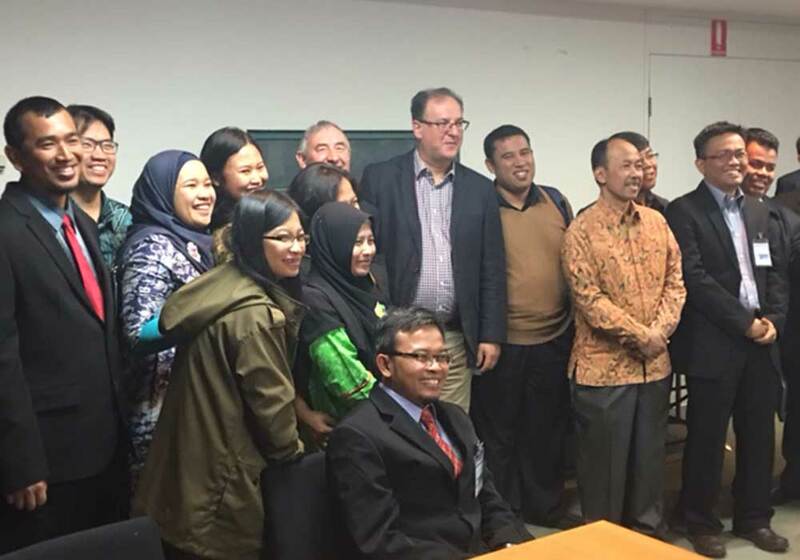 Taufik and Purwati’s highlights across the 2-weeks included a visit to the Victorian Auditor General’s Office and the Victorian Department of Treasury and Finance where they observed “new ideas and methods” for strategy asset planning and budgeting. “The group also was fortunate to have an hour with the Hon Kevin Andrews who has held a number of ministerial appointments (including Defence) and who spoke to them about his need, as a Minister, for financial information.” said Prof Stevenson. The participants were impressed by the opportunity to experience first-hand, the close relationships the University fosters with government departments. “The course opened my mindset to following the development of standards, globally” said Saleh reflecting on his time in Melbourne. Both students believe that more open support from Indonesian government within local workplaces could potentially help facilitate best practice accounting accrual environments and foster new thinking on current processes and systems by Indonesian business leaders. Having completed the pre-course in Bandung that gave each participant insight into what to expect and helping them to set their own targets; a “post-course’ will be held in January 2017 to review the outcomes of the main course in Australia and also the completion of the individual and group projects that participants currently have underway. “The [Scholarship] process is straight forward and I would encourage all graduates who are unsure, to think about applying” said Purwati speaking about her experience applying for the awards. She worked closely with AAI advisers in the Indonesian office who suggested inclusion of real-life examples related to a workplace project she had undertaken focused on association of intangible assets, in her submission. Sri Purwati, completed a Master of Financial Management at University of Melbourne in 2008. Ferry Taufik Saleh, completed a Master of Accounting and Finance at University of Adelaide 2011.